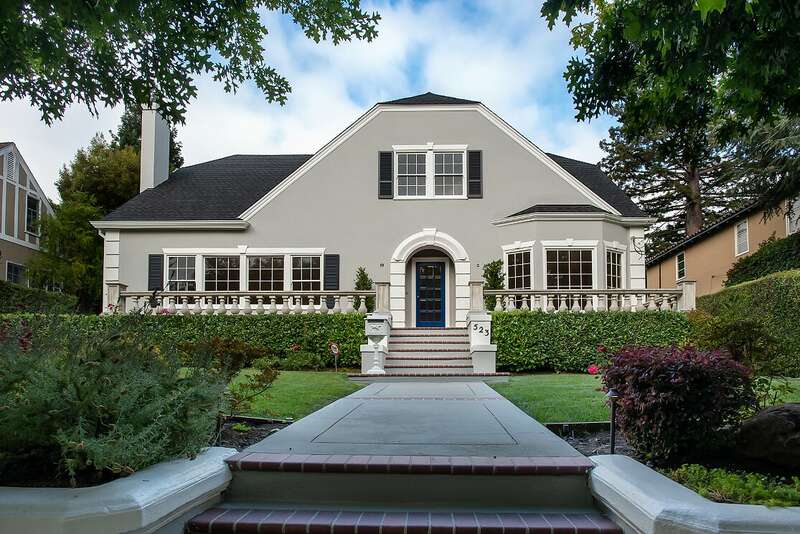 Steeped in classic country elegance dating back to 1924, this showcase home makes a commanding first impression in sought-after San Mateo Park. Perfectly manicured grounds frame the elevated front entrance where stone carved balustrades outline the terrace and recall the home’s early grandeur. The spacious two-story home begins with a traditional foyer, formal living room with classic fireplace, and a formal dining room with a dazzling crystal chandelier. A wood-paneled family room that connects with the updated kitchen and separate breakfast room is certain to be the heart of the home. Refinished hardwood floors, new paint, and crown moldings throughout add designer appeal and all in a palette perfect for any individual style. Personal accommodations include a luxurious main-level master suite with garden access and updated en suite bath. Upstairs, there are four additional bedrooms, including a guest suite plus one with floor-to-ceiling built-ins that is ideal for an office. With beautifully landscaped front and rear grounds, plus a location convenient to fine dining and shops in downtown Burlingame or San Mateo, this is truly a wonderful place to call home!